“Oh there ain’t no rest for the wicked,” and there is no rest for the Verizon IndyCar Series either. After an exciting weekend on the west coast, America’s favorite open wheel series finds themselves at Barber Motorsports Park for the Honda Grand Prix of Alabama. Brad G. was the big winner last week, other than the dominant Alexander Rossi of course. Who’s got what it takes to pull off the win this week? Well, only time will tell. I’m here to try and help you be that winner. Don’t fix what’s not broke. Rossi has been on an absolute tear this season, with a third place, a second place and a win. He has asserted himself as an early championship favorite, and he and his Andretti Autosport team are showing no signs of slowing down as we head into Barber and the month of May at Indianapolis. Jo New loves Barber, and his results have showed. Having picked up his first win in the series here in 2015, and then taking the checkered flag again last year, it’s tough to pick against the defending champion and his powerhouse team. Look for the number one Penske to be up front come Sunday. 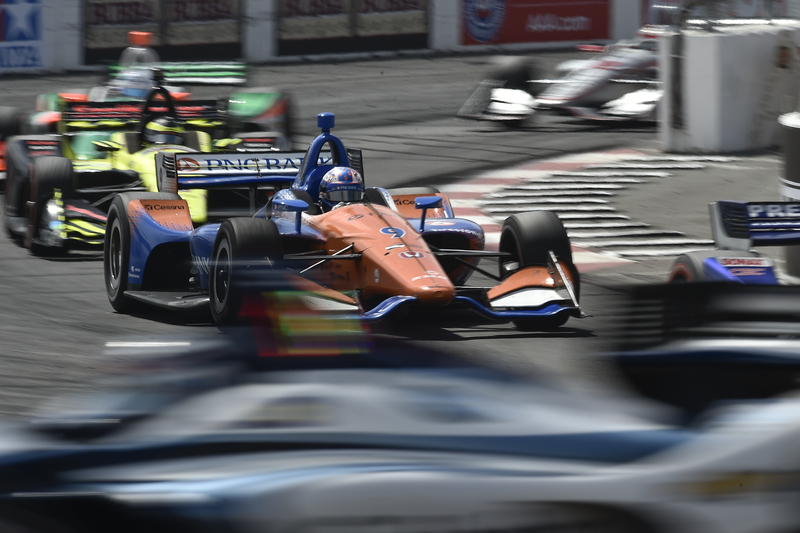 He was oh so close to picking up his first win at Barber last year, and will be looking to rebound after a strong weekend at Long Beach that was taken away by a late race penalty. The Ganassi stable looks to finally be up to speed with Ed Jones earning a podium last week. This might just be the weekend they find the top step of the podium with Dixon. He’s won at Barber before, and he will certainly be looking to do so again after a strong showing at Long Beach last weekend finally got his season on the right track. Look for the Australian to work some road course magic this weekend. With Barber being a winding, flowing road course, I can’t help but think that it will play to Wickens strengths. It will be the closest thing he’s had so far to the European circuits that he is used to racing on in DTM, and I feel as though he will be very strong on race day. He’s been close at Barber before, and has a championship fire in his eye this season. Watch for Graham to be quick this weekend as he tries to find the top step of the podium and solidify his spot as a front-runner on the grid for 2018. He’s been a man on a mission this year, passing car after car after car. He was quoted after the Long Beach race saying that if he can figure out how to qualify, he’s going to win a race. I think he’s right. Will Barber be the place for him to do it? I’m not convinced, but I’ll have a close eye on Marco this weekend. Similar to Wickens, I’m excited to see how the rookie performs on his first natural road course in IndyCar. He’s shown that he has speed, but mechanical issues have really hampered his first two races. I think this can be the weekend that he finally breaks into the top ten and really shows his capability. They’ve made some progress, but Carlin Racing is still new and dealing with those first year hiccups. Along with this, Chilton has seemed to be outpaced by teammate Charlie Kimball. I will be avoiding him in my lineup for this week. Like Carlin, Juncos Racing is dealing with some of those season one issues as well. Kaiser is a capable driver, but it takes time to get to the front in a top-notch series like IndyCar. Images courtesy of INDYCAR Media. Join Open-Wheels.com on the official Fantasy IndyCar site at Fantasy.IndyCar.com.